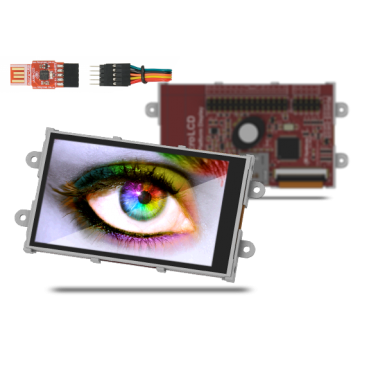 The uLCD-32PTU delivers astounding colors perfect for animations, slideshows and other multimedia presentations. The module has an SD card connector for the included 2 GB microSD card. Use this expandable memory space for multimedia files, including movie clips or sound files. The uLCD-32PTU can be programmed in its native 4DGL language (similar to C), or it can be configured as a serial slave. The module gives you the freedom to meet your project's needs in one compact package. 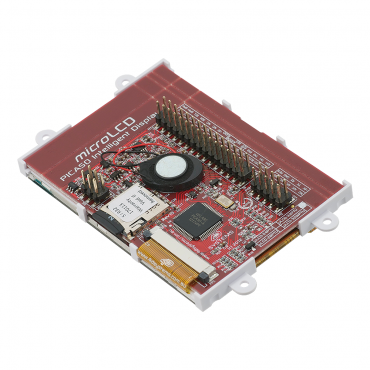 With this kit you will have everything you need to connect to the display, load files to the SD card, update the onboard PICASO processor, and make the display ready for your project. Screen Dimensions: 54.34 x 77.70 x 3.70 mm (2.14 X 3.06 X 0.14i n). 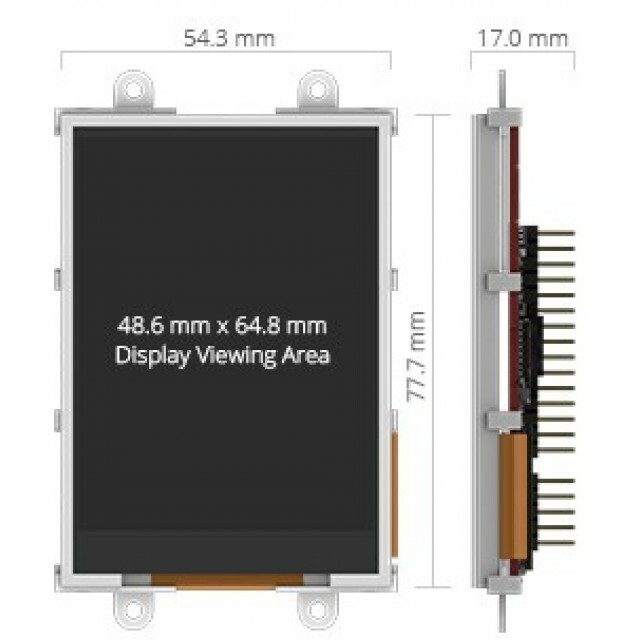 uLCD-32PTU Touch Screen Display Module.